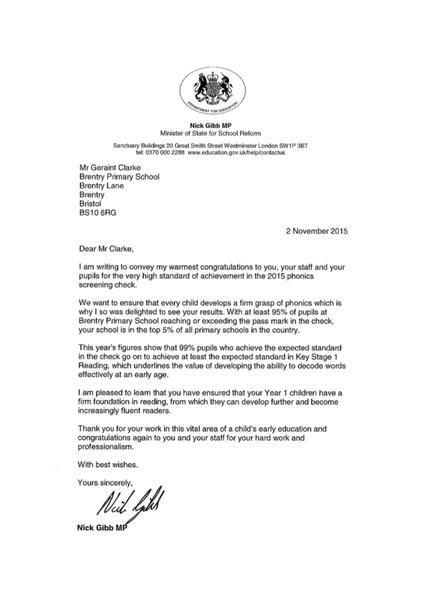 We received a lovely letter from a Minister of State, the Rt Hon Nick Gibb MP, congratulating us for our results in the phonics screening check this year. They put the school in the top 5% of all primary schools in the country. Well done to all the children, parents and staff involved in such a success.